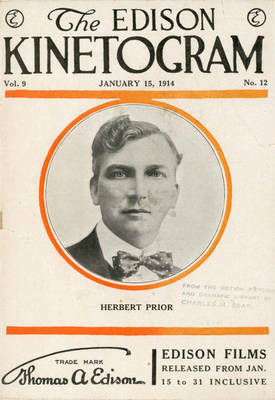 "Herbert Prior on cover of Edison Kinetogram, 1914"
Cover of The Edison Kinetogram, Volume 9, No. 12, January 15, 1914. The actor Herbert Prior is featured.